A new International Associated Laboratory “IM-LED (Impacting Materials with Light and Electric Fields and Watching Real Time Dynamics)” was launched. IM-LED is an international collaboration project between France and Japan, directed by Prof. Eric Collet of Université de Rennes 1 and Prof. Shin-ichi Ohkoshi of the University of Tokyo. In this new International Associated Laboratory, we conduct research on light- and electric-field-responsive materials and their dynamics, and aim for the establishment of the basics for next-generation ultrafast optical communication and optical computers. The signature ceremony of this agreement took place on December 12, 2016, at the French Embassy in Japan. The ceremony was held in the presence of French Ambassador, Mr. Thierry Dana, and Deputy Director of Institute of Physics, Centre National de la Recherche Scientifique (CNRS), Doc. 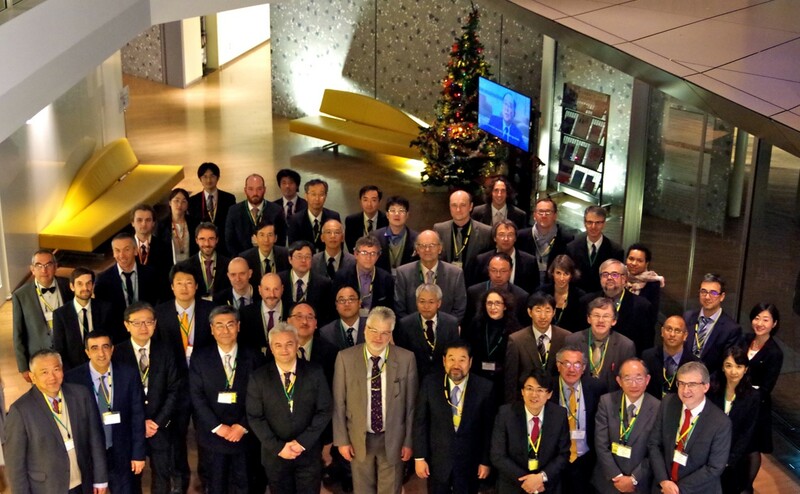 Niels Keller, with participation of the representatives of the four universities from France, Université de Rennes 1, Université de Nantes, Université du Maine, Université de Versailles de Saint-Quentin-en-Yvelines, and four universities from Japan, the University of Tokyo, Tokyo Institute of Technology, Tohoku University, and Kyoto University. The scientific program and addresses from each university were given at the auditorium of the French Embassy, followed by the signature ceremony and reception, which were gorgeously held at the French Embassy Residence. Copyright © International Associated Laboratory (LIA), France-Japan international collaboration project IM-LED. All rights reserved.